Evencelebrities have started using pickup trucks as their everyday vehicles. 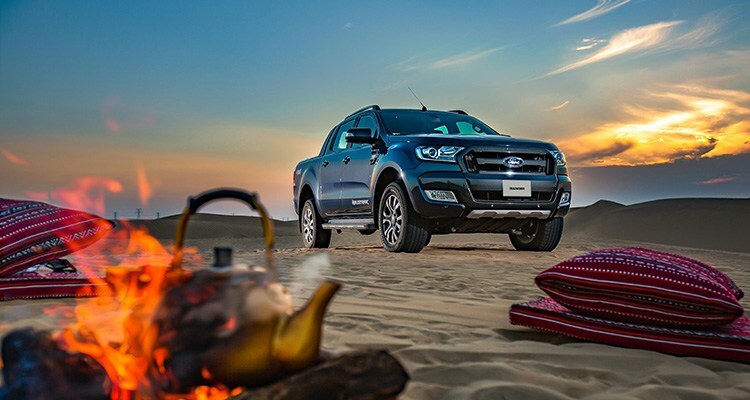 Pickup trucks like Ford Ranger have come a long way to fit every lifestyle and this is the reason for its growing popularity in the Middle East. What earlier was conceived for people involved in heavy towing and offroading have now become a choice for families and everyday commuters to work and home. The reason why Ford Ranger is a perfect everyday vehicle for motorists is the same comfort and technologies as available in luxury cars. Even celebrities have started using pickup trucks as their everyday vehicles. Let us talk about how Ford Rangers fits every lifestyle. When it comes to any vehicle, perhaps the most important aspect is the power and tech it incorporates to make our journeys safe, comfortable and convenient. The new Ford Ranger carries a 3.2-liter turbo-diesel engine, assisted by Wildtrak’s innovative six-speed automatic transmission to make both heavy towing and family excursions as smooth as you could imagine. When it comes to towing, the 3,500-kilogram towing capacity allows you to carry anything from cylinder blocks to machinery, ATVs or camping gears. Additionally, the Hill Launch Assist stops roll-back as you start or reverse uphill. The Traction Control System employs sensors to observe every wheel for speed and slip and mechanically uses the brake or boost torque as required to improve hold and aid in preventing wheel spin. Another characteristic of the Ford Ranger, which makes it stand apart, is its refined design. The tough body is not only perfect to claw through dunes of the Middle East but is also easy to clean up for a stylish look on the road. The truck is loaded with modern safety and entertainment features. The voice-activated SYNC 3® infotainment system is a perfect companion to make conference calls, talk to your family while stuck in the heavy traffic of Dubai or just play your favorite music through voice commands. The SYNC 3 is also compatible with Apple CarPlay. “Whether you’re an entrepreneur who loves road trips with the family or a mild-mannered accountant by day and thrill-seeker by night, Ford has a Ranger to fit your lifestyle,” added Lory. The Ranger starts at AED 78,900 and goes as high as AED 149,000 in the UAE.